If you’ve surfed the net at all, you’ll see program after program that will promise you millions of hits to your website for one low price. You’ll find sites that will promise you plenty of traffic, but is it really worth it? Let’s think about this for a minute. If you have a hobby site and want to create a web ring with some friends, then go for it. However, if your website is your livelihood and you need to be making money, then you may not want to send your targeted traffic off to another website. Web rings aren’t a scam and many people are happy with them, but they are not truly a productive method of traffic generation. This is another method of traffic generation that we would like you to question. Have you seen these? You view other websites for 20 seconds each on your computer screen, and earn points so that your website will show up while other people are viewing websites for 20 seconds each. First of all, most people have multiple windows open, and the kids are running around and the phone is ringing so they’re going to be walking away from their computer, leaving the ads running. Now, this normally doesn’t cost any money and it isn’t a scam, but there are much more productive methods of using your time than this. Please don’t pay to submit your website to thousands of search engines. The search engines are out crawling and will find your website just fine if you work on getting some incoming links to it. You can do this by posting comments on some blogs, submitting an article or two, or submitting a press release. You can even buy advertising and do better than wasting your money and time submitting your website to the search engines. 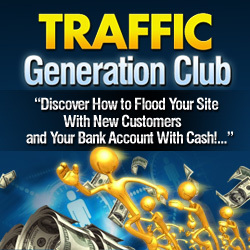 Please use the tried, tested and true methods of generating traffic to your website. And, spread the word about the time and money wasting programs out there that do nothing to help your online business succeed.